Our City Harvest pick up! The premise: If students owed money for lost books, I would forgive their fines with the donation of 3 cans of food per missing book. At the end of the school year, the food would be donated to a local charity. At the end of the 2012-2013 school year, we were able to collect over 10 large boxes of canned goods and forgive over 100 fines. 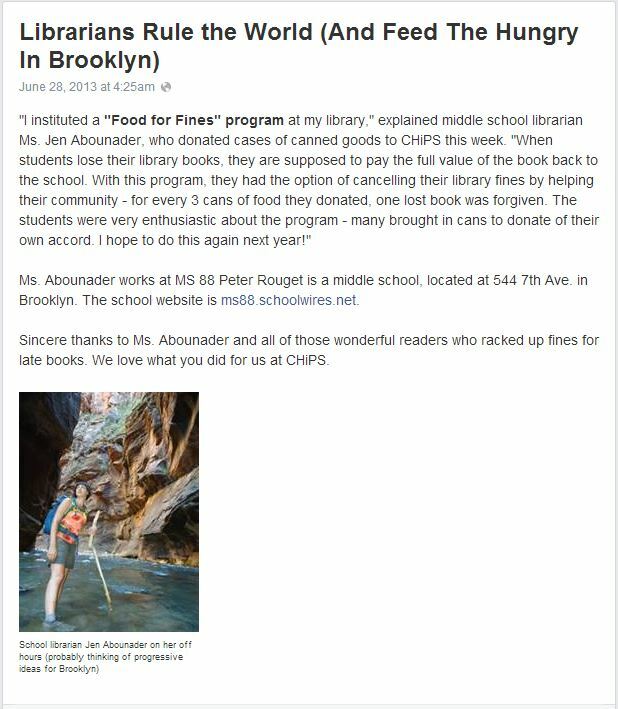 The food was donated to CHiPS, a local organization that provides help for low income and homeless members of the Park Slope, Brooklyn community. 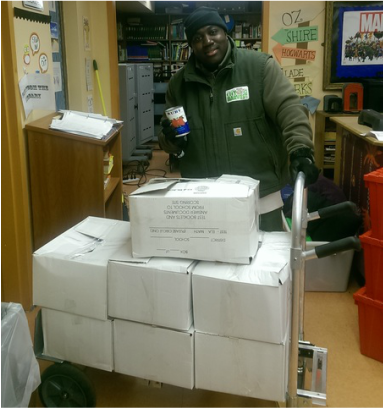 At the end of the 2013-2014 school year, we collected over 350lbs of food to City Harvest (a picture of our donation is at the top of the page).